Step 2. Click on speed up my System. Step 3. 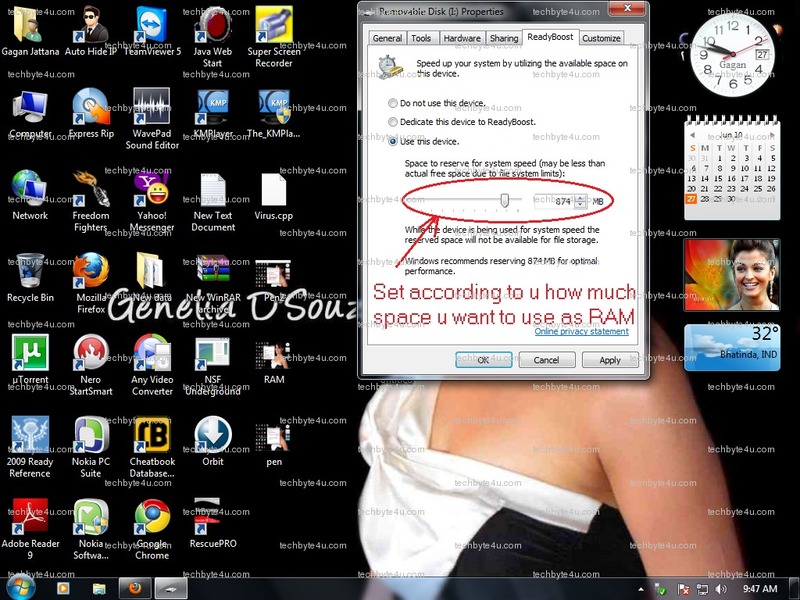 Check "Use this device" and set space according to you and then Click on "Apply". Step 4. Check the option Donot use this device and Apply after use. 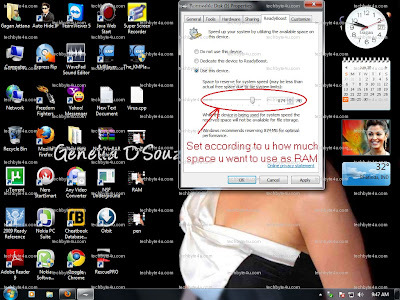 **Dont forgot to do step 4 and Don`t remove your Pendrive direclty....Its works on new models of Pen drives.